Just got back from the check presentation at the HAVA booth here at the shot show, and we took some pictures while we were there. 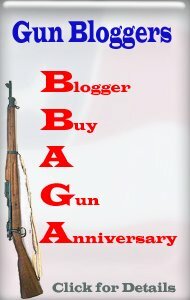 This year the Gun Blogger Rendezvous was able to give them a check for over $2700. Good job, gun bloggers! hopefully next year we will do even better. Oh wait, it already is next year! What I meant to say is that we will hopefully raise lots of money for them in September in Reno at this year's gun blogger rendezvous.